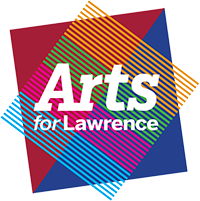 Executive Director of Arts for Lawrence, Judy Byron, and Founder of Poets Laureate, Liza Hyatt, have each been awarded a $10,000 Creative Renewal Arts Fellowship from the Arts Council of Indianapolis. Byron and Hyatt now represent the second and third recipients from AFL to receive the prestigious award, following on the heels of AFL resident artist, Gary Schmitt, in 2015. Awarded through a highly competitive grant process, the Creative Renewal Arts Fellowship biannually awards 30 central Indiana arts and arts administrators $10,000 each to rejuvenate their talent and passion for the arts. The fellowship grant provides artists with funds to be used for research, instruction, travel, conference attendance, apprenticeships or other skill-building opportunities. To date, the Arts Council has awarded 400 Creative Renewal Arts Fellowships resulting in more than $3.3 million in direct funding to visual artists, writers, musicians, dancers, artists working in theater and arts administrators. Each fellow is provided with a two-year period to guide their renewal and utilize the funds. Byron plans to travel to cities across the U.S. and Europe, visiting centers of art and cultural engagement, in hopes of learning more about the creative placemaking process. Her travels will take her to large cosmopolitan cities like New York, London and Berlin, as well as smaller, renown placemaking centers like Cadillac Square in Detroit and The Artery in Milwaukee. Byron hopes to gain new insight and inspiration through her travels, in an effort to continue building a creative community around the historic Theater at the Fort in the city of Lawrence through the help of Arts for Lawrence. “I’m thrilled to have the wonderful opportunity to combine the things that I love – art and community, in an effort to create a sustainable platform and community for the arts in the city of Lawrence,” says Byron. Hyatt also plans to travel to other cities across the U.S., interviewing other art therapists, engaging in self-reflective creative processes, and spending time immersed in wild nature. She will attend the “Beyond Walls” writing conference hosted a Kenyon College in the summer and will travel to New Mexico and other places as the process unfolds. “I want to explore how compassion vitality emerges from the creative process, community building, and time in nature,” says Hyatt. “For me, creative renewal has a spiritual dimension, which I can’t map out ahead of time but need to be open and receptive too. I am excited to see where my journey takes me”. The fellowship is of special note for Hyatt, as she’s applied several times over the years, yet struggled to best show who she is and what her work consists of as an art therapist. Both ladies now join AFL’s resident artist, Gary Schmitt, as recipients of the Creative Renewal Arts Fellowship. Schmitt was awarded as a Creative Renewal Arts Fellow in 2015, during the last round of fellowship awards. A sculpture artist, Schmitt’s renewal focused on attending workshops and residencies at various well-regarded schools in the U.S., Iceland and the Netherlands. Schmitt’s trips provided opportunities to speak with several internationally renowned artists in his field, such as Jeanette Appleton of the United Kingdom and both Kitty Korver and Ron van der Ended of the Netherlands. “Talking with the instructors extensively during the week, being exposed to new concepts and techniques from the instructors and other students, doing my first projects using the wet felting process, connecting with other artists at their studios, seeing a huge variety of artwork at the museums and thinking about their working processes; all this helped me broaden my professional network,” says Schmitt. Schmitt says he’s felt affected by the generosity of the world community. As Byron and Hyatt enter their first year of the Creative Renewal Arts Fellowship, please make sure to visit our blog for updates on their travel and creative renewal journey.